One of the best ways to maximize your time in making cards is to make a card that’s universal in design and then you can swap out the sentiment. A few KBS handwritten words are just the ticket! Make several to keep on hand too. 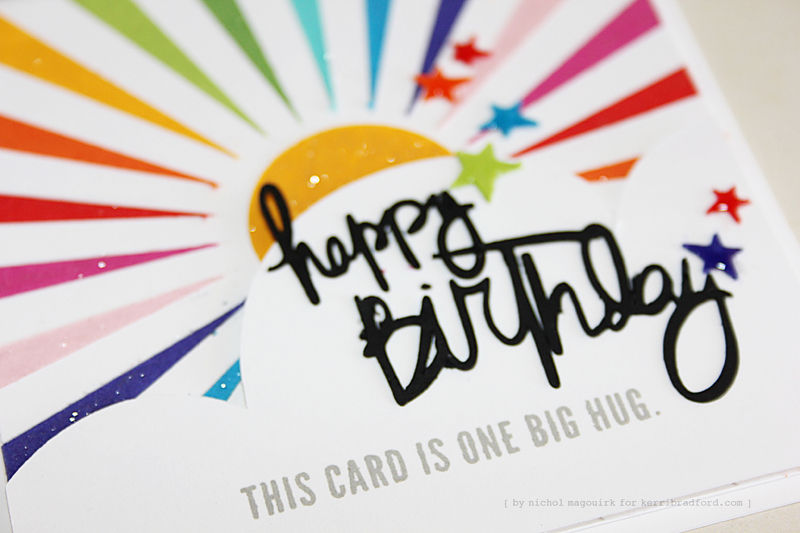 Miss Nichol has done just that with these bright and cheery cards! These would totally brighten my day if I was the recipient of one of them. I love seeing if I can create a card entirely from die cuts. This idea came to me when I was trying to come up with a way to make a set of cards using Kerri’s super awesome script-style phrases. I knew I wanted the phrases die cut from black but I needed a way to make the greetings on the cards “pop”! A rainbow sunshine was just the answer! 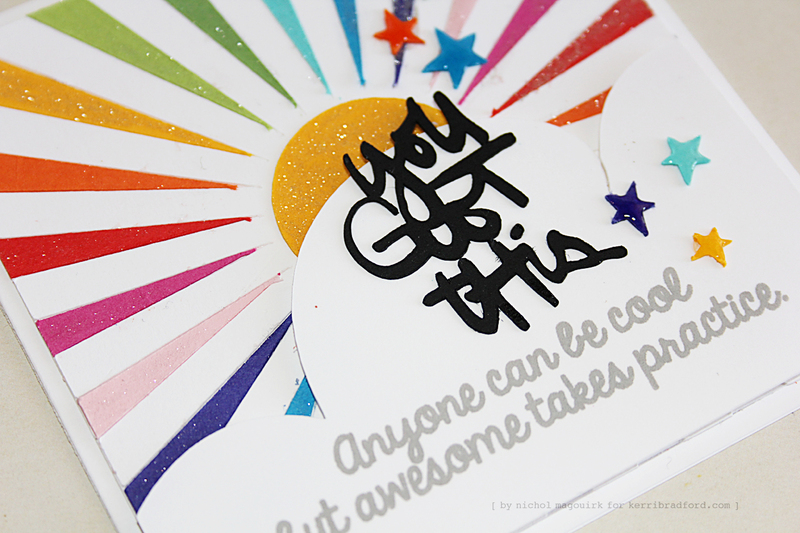 I used one of my all-time favorite shapes the starburst from the This & That: Freedom Kit, die cutting it from white cardstock and then cutting the design again from ten different colors of cardstock. To get the cut out or “negative shapes” I simply fashioned a square the same size as the starburst (4 inches) around the starburst design and it created all the little sun rays. I pieced the design together on another 4″ square of white cardstock for the die cut inlay technique that is so hot right now. 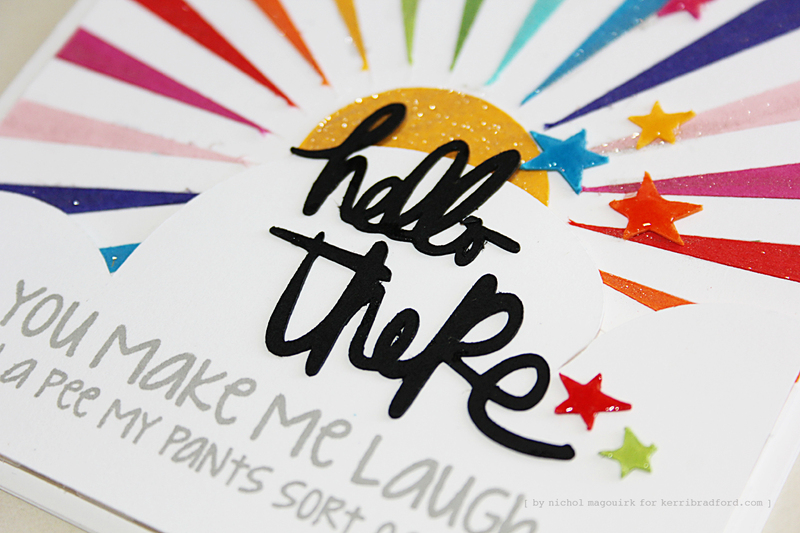 I colored in all the bright sun rays with the clear Wink of Stella Clear Glitter Brush Marker and also cut a 1.25″ circle from the yellow cardstock for the center of the sun. I knew I wanted a cloud to cover the bottom half of the design as a great place to glue the die cut greeting as well as a place to stamp a little phrase. Because Kerri didn’t have a cloud shape in her library at the time I made these, I used a popcorn kernel from the new County Fair kit, resizing it big to fit the bottom half of the design. Stars die cut from the same cardstock as the rays using Kerri’s Thank My Lucky Stars Kit and embellished with Glossy Accents complete these happy cards! 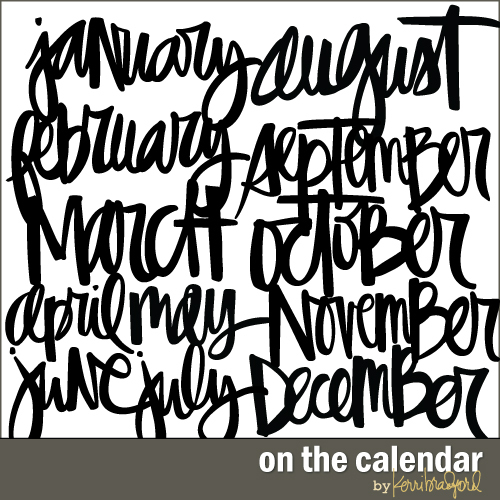 Now, if you are hooked on these brush-script words, here’s another fun kit for you to use. These would look awesome cut and placed on a card for Project Life! Your cards are wonderful, Nicole. 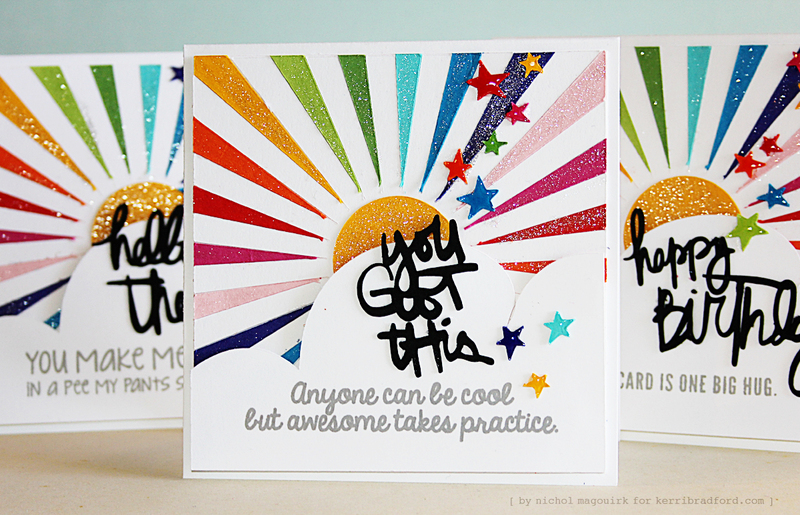 I love the happy colors and positive sentiments,perfect for back to school! Elles sont sublimes ces cartes !!!! J’adore ! Bravo Nichol !!! !